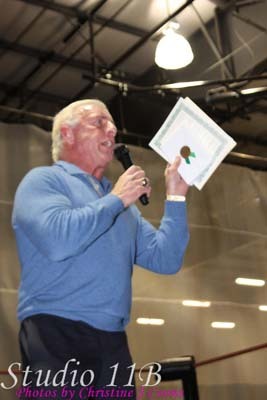 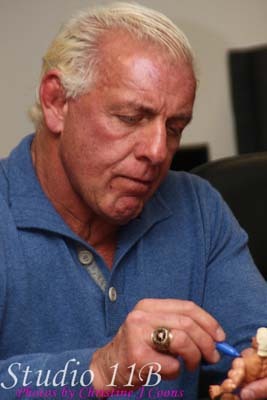 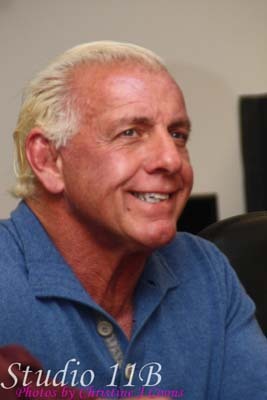 On Friday Dec. 5th at the Proehlific Park Sports Complex in Greensboro, N.C. "Nature Boy" Ric Flair was awarded with the "Key To The City" and below are pics from that special night including two legendary Ric Flair Artifacts, the original historic Starrcade "83 Robe in celebration of the 25th Anniversary of the Nature Boy's 2nd NWA World Heavyweight Championship victory over Harley Race and Flair's original NWA World Heavyweight Championship Belt. 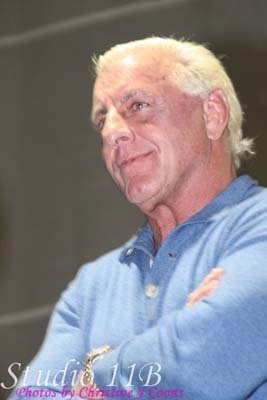 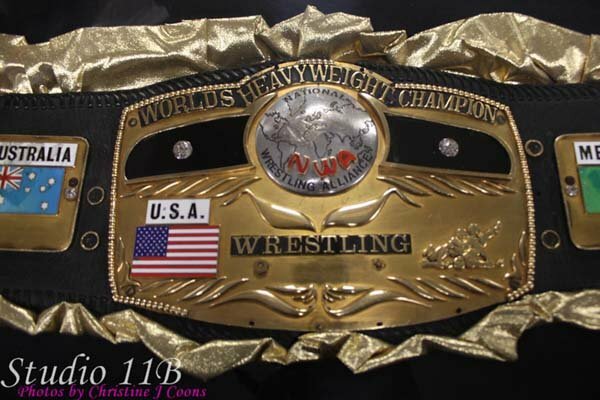 For a review of Ric's son Reid's professional wrestling debut please go to our other new page called "Reid Flair Debut Review"........Thanks!!! 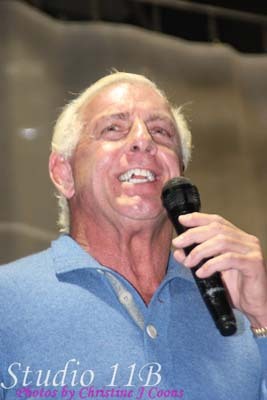 Ric Flair accepting a proclamation giving him the Key To The City of Greensboro.